Sometimes we fancy treating ourselves to something more luxurious than normal. This can happen with everything from furniture to food to cars. Especially cars. 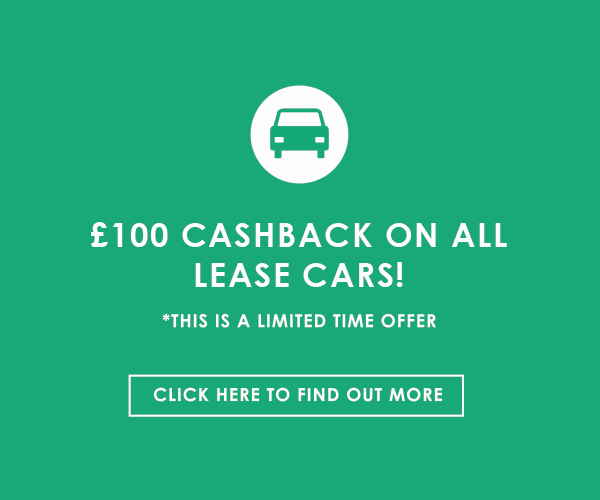 You can choose a more popular hatchback like a Ford Focus or Vauxhall Corsa, but when you can get a premium model on a cheap car leasing agreement, why not treat yourself? We have two premium hatchback suggestions for you: The BMW 1-Series and the Mercedes A-Class. Let’s start with the Mercedes A-Class. With both cars, there is a variety of different engines you can choose from, so we will cover the cheapest, the fastest and the greenest engine available. The cheapest A-Class engine is the A160 SE model. It is a 1.6-litre four-cylinder turbocharged petrol engine coupled with a manual gearbox. It produces 102 bhp, which allows it to accelerate from 0-60 mph in 10.6 seconds, making it an excellent motorway cruiser. It also has a top speed of 118 mph, which is always good to know. With regards to fuel efficiency, this A-Class model produces a combined fuel economy of 52.3 mpg. For those of you who usually drive in the city, you have an urban fuel economy of 39 mpg and for the motorway cruisers, you produce an extra-urban fuel economy of 66 mpg. The cheapest model for the BMW 1-Series is the 118i [1.5] SE. The BMW 1-Series cheapest model is faster and more powerful than Mercedes’s model. The 1.5-litre three-cylinder turbocharged petrol engine that produces 136 bhp. It has a higher top speed with 130 mph and is quicker from 0-60 mph in 8.5 seconds. It also has a better fuel efficiency than the A-Class on the cheapest model. It has a combined fuel economy of 56. mpg, an urban fuel economy of 46 mpg and extra-urban fuel economy of 66 mpg. The greener the car, the cheaper the car is the run. In theory, you should be spending the least amount of money on fuel and your road tax should be low. The Mercedes A-Class’s greenest model is the A180d SE model. This model comes with a 1.5-litre four-cylinder turbocharged diesel engine producing 109 bhp. It has a combined fuel economy of 80.7 mpg so you will not be filling up nearly as often. For the motorway cruisers amongst you, the extra-urban fuel economy is 88 mpg, ensuring you travel further for less. City drivers get a good deal too thanks to an urban fuel economy of 72 mpg. It also accelerates from 0-60 mph in 11.3 seconds and hits a top speed of 118 mph. The BMW 1-Series equivalent is the 116d EfficientDynamics Plus model. This model is a 1.5-litre three-cylinder turbocharged diesel engine that produces 116 bhp, making it again more powerful than the A-Class. The BMW does also have better fuel economy across the board. Its combined fuel economy comes out at 83.1 mpg. For the extra-urban fuel economy, you get 91 mpg, so you will last longer than the Mercedes A-Class on the motorways. In the city, you get an urban fuel economy of 72 mpg, which is the same as the Mercedes A-Class. This model also comes out with a top speed of 121 mph, making it faster than the Mercedes and accelerates from 0-60 mph in 10.4 seconds, ensuring it is quicker than the Mercedes. Finally, we have the fastest models available offers for the A-Class and the 1-Series. Both models have updated speed demons in the forms of the A-Class A45 and the BMW M140i. But for the fastest engines in the normal models, you have two excellent options. The Mercedes model is the A250 4Matic AMG Premium that offers you a 2.0-litre four-cylinder turbocharged petrol engine producing 218 bhp. With that power, you get a top speed of 149 mph, which is very good. It sprints from 0-60 mph in 6.3 seconds, making it an excellent motorway car for its ability to get to adequate speeds in a same and speedy manner. Whilst fuel economy might not be the biggest priority if you are looking for speed, you do get a combined fuel economy of 42.2 mpg, which obviously isn’t as good as some of the other models. It has an extra-urban fuel economy of 50 mpg and an urban fuel economy of 33 mpg. Flipping over to the BMW 1-Series, you get the 125i  M Sport model. It has a 2.0-litre four-cylinder turbocharged petrol engine. The BMW continues to be more powerful than the Mercedes, developing 224 bhp. With that, you get a top speed of 151 mph, again faster than the A-Class. It is also quicker from 0-60 mph, sprinting there in 6.1 seconds. It also wins on fuel economy, even on these fast models. It has a combined fuel economy of 47.9 mpg, an extra-urban economy of 57 mpg and an urban fuel economy of 38 mpg. Inside the Mercedes A-Class, you get a plush, comfortable cabin, that is very classy higher up the range. The dashboard is made from high-quality plastics and materials. The seats are thickly bolstered with excellent support, whilst remaining comfortable. Both the seats and the steering wheel are full adjustable, ensuring you can get the right driving position for you. The space in the front is brilliant with plenty of space. In the rear, it is tighter to get into for six-foot adults as the doors do not open as widely. However, the legroom and headroom is sufficient. In the boot, Mercedes have given the A-Class a boot capacity of 340-litres. Over in the 1-Series, you get a driving position that is low, with plenty of legroom and headroom. However, the seats themselves are not as comfortable or supportive as the ones in the Mercedes. One of the best things about the interior of the 1-Series is that the dashboard is directed towards the driver, ensuring all the controls are easily laid out and within easy reach. The car will comfortably fit four adults. Add a fifth in and the back seats can feel tight, especially with regards to legroom thanks to the transmission tunnel down the middle. The 1-Series has a larger boot than the A-Class with a capacity of 360-litres. The Mercedes A-Class handles well. There is a little body roll and the steering wheel does feel weighted, however, you can easily remain in control. You get plenty of grip to ensure you stay in place as you hit those corners. In fact, with the fastest model, you get more grip and it corners far flatter than some of the lower models. It is comfy enough on most the roads, especially the smoother roads. In comparison, the BMW 1-Series is a better car. The ride quality is top notch, with comfortable seats and you barely feel the bumps and potholes in the road as you head over them. Motorway driving is also extremely comfortable, making it an excellent cruiser. The BMW is also a rear-wheel drive car, so you may expect it to swing its backend out more. For the most part, the handling feels balanced with plenty of grip. If you do throw it too hard into a corner, you may expect it to become loose on the handling, but that is easily correctable. Out of these two prestige hatchback heavyweights, the BMW 1-Series comes out on top. It dominated the engines. And it is just a far better drive on the road. Both are available on cheap monthly payments through car leasing.